It has been more than a year since the High Court’s decision (for a refresher of the case please click https://henrygoh.com/tempest-in-a-teacup-or-bubble-tea-firestorm/) and both parties have kept themselves extremely busy both on the business and legal front. Will Group Sdn Bhd, who is the new master franchisee for CHATIME in Malaysia, has picked up the business very quickly from where it was and expanded the four remaining CHATIME stores to over thirty locations around Malaysia. They boasted that sales have more than tripled under them even though CHATIME only has about a fraction of TEALIVE’s over 170 stores. Plans are already underway to extend the business franchise to Singapore and Will Group is already eyeing the Middle East next, ever since attaining the “holy grail” aka the “halal” food certification. The franchisor, La Kaffa International Co Ltd additionally has plans to set up a manufacturing facility here in Malaysia where it will then be the regional hub and supplier of CHATIME ingredients to its Southeast Asia operations. To stamp its (trade) mark even deeper, Will Group’s associate company Chatime Malaysia Sdn Bhd had issued a legal letter to Loob Holding Sdn Bhd in March 2018 for misrepresentation and defamation in relation to displaying headlines on Loob’s website, which implied that CHATIME had been replaced and renamed as TEALIVE. This was undertaken as a damage control measure to safeguard CHATIME’s goodwill and reputation as well as address the possibility of confusion amongst customers. Surprisingly, the headlining had been ongoing for nearly a year but Chatime had been given a lengthy grace period to rectify this issue. However, they only removed the headlines upon receipt of Chatime’s legal demands without any response in writing. Interestingly it was Loob that finally filed a suit against Chatime for defamation two months after receiving the demand letter. Unfazed by the legal disputes with La Kaffa/Chatime Malaysia and the ongoing arbitration in Singapore, Loob did not slow down its aggressive pace of expanding the TEALIVE brand and business, both locally and globally. The master franchise of TEALIVE was awarded to World Iconic Brands Hospitality Pvt Ltd of India, with the projection of opening 140 stores within a five-year period in that tea-loving country. At the time of writing, there are already five TEALIVE stores in Vietnam and the first Australian outlet has just opened in Melbourne. Loob plans to grow TEALIVE to 1,000 stores in 15 countries by 2020. However, the huge business drive for growth almost came to a sudden halt when La Kaffa was successful at the Court of Appeal towards the end of June 2018. La Kaffa had filed an appeal for an interim injunction to restrain Loob from operating a rival tea business under the name TEALIVE. The injunction was based on the breach of post-franchise terms (a prohibitory order) and also for a return of its properties (a mandatory order). Loob’s counter action was applying to restrain La Kaffa from interfering with their TEALIVE business. However, when the Appellant (La Kaffa) succeeded in its appeal, the Respondent’s (Loob) counterclaim was duly dismissed. 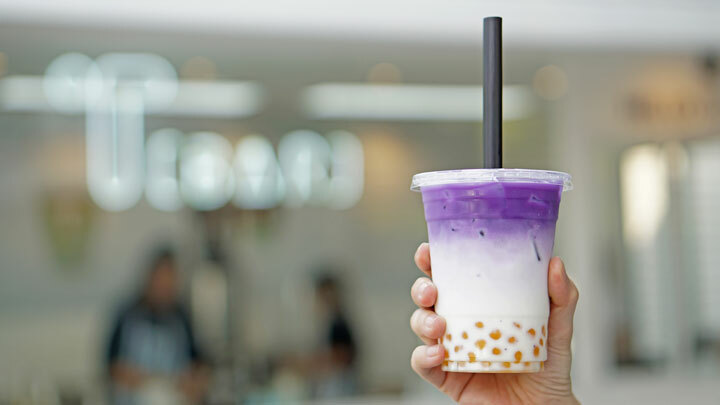 The Appellant’s main argument that found favour at the Court of Appeal was that Loob, having accepted the franchise termination in January 2017 and having had the benefit of running the CHATIME business had proceeded to set up a rival business merely a month after the said termination. This was not permissible under the franchise terms of the parties’ Regional Exclusive Representation Agreement (RERA) as well as the Franchise Act 1998. It was argued by La Kaffa’s counsel that Section 27 of the said Act prevents “spring-boarding” for two years post-termination i.e. a franchisee being intimately exposed to a particularly valuable franchise system cannot spring-board to its own benefit. The appeal was not aimed to restrain Loob from trading but to injunct the replication of CHATIME franchise system. Last year’s decision by the High Court did not allow a restraint of trade but only ordered for the return of La Kaffa’s properties with a small window that Loob must provide proper accounts of TEALIVE business, thereby to some extent acknowledging that they were in breach of restraint of trade provisions. At the appeal level, the Court opined that both the prohibitory and mandatory orders must be upheld if the Respondent was in breach of restraint of trade provisions in addition to being in possession of the Appellant’s properties. Although it is trite law that that the threshold to grant a mandatory interlocutory injunction is extremely high, it is also important to note that the threshold to satisfy a prohibitory interlocutory injunction is less stringent. The Respondent submitted that La Kaffa did not seek any injunctive orders in its Statement of Claim to the Singapore International Arbitration Centre (SIAC) arbitration No. 274 of 2016 and that La Kaffa’s election to claim for only declaratory and monetary reliefs in the arbitral proceedings only fortifies the High Court’s finding that damages are an adequate remedy. To this, the Court of Appeal noted that purely based on RERA as well as the Act, La Kaffa has a cause of action in Malaysia although the parties have agreed to arbitrate the breach of RERA in Singapore. The panel of judges at the Court of Appeal further held that the High Court did not correctly apply the rules of private international law by assuming that the court has lost its inherent jurisdiction to act on matters related to arbitration. The Court of Appeal held that the Appellant’s application for the injunction as well as the orders were well within the jurisdiction of the court. Justice Hamid Sultan bin Abu Backer JCA, in delivering the majority judgment on behalf of the panel decided that based on the factual matrix of the case, the High Court upon granting the mandatory order ought not to have refused the prohibitory injunction. In refusing so because the injunction is monetary or compensation based is failing to consider the RERA and the Act in its proper perspective. When parties have agreed not to do certain acts and a statute also provides for such protection, the court is obliged to give effect to ensure the salient terms of the agreement as well as the statute is not breached. The issue of compensation is remedial in nature. It is an agreed form of compensation and does not override the paramount obligation not to breach a salient term of contract which is also protected by statute. If it seems like the matter (or this article) ends here, it really does not. Following the appellate decision, it would have appeared that TEALIVE must cease operations in all 170 plus stores in Malaysia since the legal implications of not complying with the court’s order would be contempt of court. Never one to give up, Loob’s undying spirit is admirable as they place their final bet in the hands of the Malaysian apex court, the Federal Court. However, since the right to this final appeal is not automatic, leave has to be applied for and granted prior to the appeal being heard. In an additional attempt to maintain the status quo of running its business pending further appeal and final settlement of the entire legal process, the Respondent also additionally applied to suspend the injunction order granted by the Court of Appeal. In a prompt delivery of judgment in early July, the Court of Appeal by a majority (2-1) dismissed the stay application filed by Loob. Firstly, Justice Hamid Sultan Abu Backer noted that the Respondent’s affidavit did not specifically aver that there was indeed an application filed for leave to appeal at the Federal Court and this is prima facie fatal to the application. The primary reason for refusing a stay is that the appellate court found the Respondent, in a case of self-induced misconduct, to be in gross disregard to contractual and statutory obligations when in an ‘overnight’ maneuver had changed the name CHATIME to TEALIVE but was still operating in the same premise with the same group of staff. It is trite law that an order for stay is discretionary in nature and the court ought not lean in favour of a person who by conduct is perceived to have breached the contractual and statutory obligations with knowledge that he is likely to cause loss to the other person. The Court found it contemptuous of Loob to submit that La Kaffa can be compensated with an order for damages when a statute strictly prohibits them from operating business in that manner and the breach amounts to a criminal offence under the Penal Code related to cheating. Learned counsel for the Appellant put it best when they submitted that all of Loob’s purported “special circumstances” for a stay of the injunction order were ones of their own making. They set out to gobble as much as possible with a ‘rebrand’ of all the stores into overwhelmingly similar tea outlets despite warning of their post-termination non-compete obligations. Loob attested that the injunction has impact on a large number of third parties and presupposed that having set out to be the biggest there is, that they are now too big to close. In essence, the Respondent set out on a mission to create, as far as possible, their own purported special circumstances. Loob is definitely one cat with nine lives because just when it seemed that all might be lost; the case continues bubbling in a different direction. Barely two weeks later, a fresh appeal was filed to the Federal Court to stay or suspend the first appellate court’s refusal to lift the injunction and the apex court obliged. In a roundabout way, the panel at the Federal Court could be seen as agreeing with the sole dissenting judgment of Justice Rhodzariah binti Ujang, JCA from the Court of Appeal that there were special circumstances to grant the stay of injunction sought by Loob. It was opined that the interim stay would very likely be for a relatively short period and yet the hardship caused to third parties such as the over 1000 innocent workers, their family members, etc. would simply be too great; again echoing the sentiments of the High Court. Thus, until the appeal is heard at the Federal Court and the arbitration at SIAC sees its conclusion, the saga will continue to brew akin to a multi-layered tea that we all like to keep sipping.